Social Media is not just about vastly popular networks like LinkedIn, Twitter, or Facebook – it is about brands engaging in conversations. It is about people interacting live with companies, products and brands; gaining and giving insights; and being ‘virtually’ vocal about their ‘likes’ and dislikes. Obviously, ignorance is not really bliss when it comes to social networking. Understanding this, several CRM software vendors are acquiring startups which empower businesses to deftly manage the growing number and variety of social media platforms. Fruitful alignment of social media with company CRM systems, which is - adding an additional ‘social’ layer to existing CRM systems, brings about higher productivity levels for end users and is the inevitable path to success. It is however important for organizations to realize that real success lies not in revolutionary infrastructural amendments, but in important evolutionary ones. A key point to remember is that CRM users should not merely use this channel as an outbound marketing effort, but should literally “listen and have their eyes open” using social CRM applications. Doing so will facilitate intelligent information capture and significant reductions in customer service costs. Shoddily executed CRM programs can be a complete disaster for both customers as well as companies, giving rise to different connotations to the CRM abbreviation. Customer Relationship “Management”? Not really. An annoying IVR system which causes frustrated and “agent desperate” customers may as well be labeled Customer Relationship 'Minimization'! A CRM system that makes absurd presumptions about the complete future purchasing profile based on one single transaction can be referred to as Customer Relationship 'Mechanization'. Still other times could make customers swear that it is nothing but Manipulation when they are fooled with fake personalized mails. But, worst of all is Customer Relationship 'Monetization' – advertising, inquiring, following-up and an overall information overload from ten different departments of the same company! What is forgotten is that CRM is all about reciprocal relationships based on 'trust' and not mere 'information'. When too much emphasis is laid on capturing and leveraging data, trust is naturally compromised upon. The biggest trouble with traditional CRM systems is that relationships are converted into rules and people into data, forgetting that an inanimate database can never match up to live assistance by a real person. Regardless of the fact that social media is a relatively recent development in the business world, it is becoming an increasingly vital aspect of sales and marketing efforts and also a stabilizing platform for client base development. As of today, social media marketing is not just viewed as a passing phase, but is now perceived as a flexible, productive tool for better business opportunities and higher market exposure. The ‘Big Three’ – Google plus, Facebook and Twitter have now become inseparable from any smart business strategy that forward-looking businesses incorporate in both traditional as well as digital market spaces. What was earlier seen as achievable only through a traditional website, now needs added support by strong, receptive social media tools. No matter what the nature and size of business, it is crucial to closely understand company strengths, weaknesses, products and services, and target market. Success in social media marketing largely depends on knowing your business in and out. Customer retention: For local / smaller companies, it makes sense to use social medial to offer close, personalized services and thereby build a loyal and dedicated client base. Increase visibility: Larger companies should use social media to capture a bigger audience and thereby gain national and even international exposure for brands. Stand out: If those products and services are offered which are purchased primarily by individuals, social media can be used to cultivate a large customer pool that differentiate your brand based on aspects like modernity, stylishness, better quality, easy availability, etc. Improve networking: If the service or product is mainly bought by other businesses, then social media tools can be effectively utilized in order to network with other businesses and organizations to elevate market place visibility commercially. 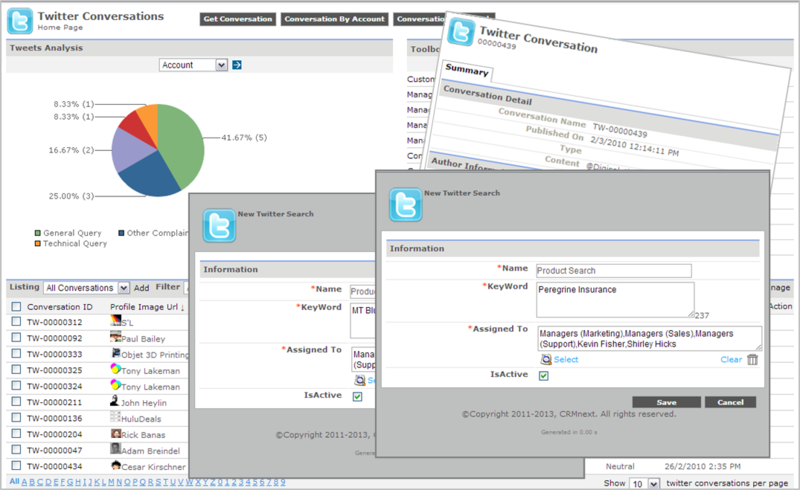 In the current market scenario, social CRM is heavily encompassing the world of sales. According to Gartner, this industry is going to grow at the rate of 11% of all CRM by the end of 2012. The reason why social CRM is rapidly seeping into company plans and strategies is because it enables organizations to harness cost cutting opportunities by offering various channels to reach out to customers quickly and more effectively. Blend: The power of personal connection should never be underestimated. Before moving towards finalization of a sale, clients would prefer getting to know the company beyond the online profile. 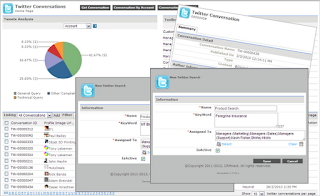 Blend social CRM strategies seamlessly with the old school personal phone calls and messages. True projections: It is a fact that virtual conversations are instrumental in building mental images of who the person beyond the virtual world is. Consistency: Interacting with clients via social CRM is delicate and it is very important to maintain the same conversation tone and persona which would have been used in person. Clients want to meet the same person they “spoke” to over social networking websites. Keep it crisp: Usage of complex language and jargon is a big no-no when it comes to pitching. Explain ideas and concepts with simplicity and clarity to avoid confusion. If a particular social networking site has a word limit, use it as an advantage to make a crisp and concise sales pitch. Net Etiquette: It is a common mistake to lose the tact that face-to-face conversations include, when engaging in online conversations. While making a sales pitch, care should be taken that the customers are given a fair chance to talk in as much detail as they wish and to carefully understand and listen to everything they voice. Integrate: Integrate social media with marketing platforms to automatically generate information forms, and create sharply targeted marketing campaigns. Collaborate: By smartly merging social media tools with sales and marketing efforts, overall employee productivity is raised. This is due to the “push” mechanisms facilitated by the social platforms which make sure that employees stay updated and engaged, and spend less time on non-core activities. Social media is all about people and relationships. It is an inexpensive yet time-intensive marketing instrument to connect with customers and gain important insights. These connections can then be leveraged to elevate brand awareness and make a strong impact. From customer sentiment analysis to social customer portals, companies are taking advantage of the benefits of social media to increase customer engagement, improve brand visibility, and reduce costs. Consumers openly share their opinions and suggestions with total strangers through social networks and often subscribe for real-time updates about their favorite personalities, TV shows or brands. In due course, a shiny new generation of social applications is going to emerge. The learning curve is still developing for both companies and customers. The key is to strike the correct balance between traditional, SaaS and social CRM to reap the benefits. Tools are dead objects without the skills and expertise of end users. Understanding this, companies must focus on the development of their social media roadmap and implementation of the most appropriate supporting software. Just like clients should never be bombarded with persistent meeting requests and cold calls, going overboard with social CRM by sending constant online requests and messages is also not recommended. In order to achieve growth and success, client-company social CRM interactions must be respectful, polite and spiced with the right amount of persistence.